Ty, the Service Director is great! Same with the parts department! We purchased our 2015 Mustang GT from Bryant Adams at Superior. We’ve purchased more than 20 cars from various dealerships over the years, and this was one of the best transactions ever. The negotiation took all of 30 seconds because their trade in offer was more than fair. And the icing on the cake was when the dealer volunteered to drive the car 100 miles to meet us so we wouldn’t have such a long trip to pick it up (we live in Kansas). Seriously a terrific group of folks to buy a car from! Excellent customer service! Lane is a wonderful sales person!!! We had stopped at several car lots in Arkansas on Saturday and happened to stop by Superior on our way out of town. Lane Wilson greeted us immediately and was quick to answer any questions we had on vehicles and get the keys for us to test drive them. We found the perfect truck and they had us in and out in under two hours. It was a great experience working with Lane and the managers in the finance dept. were great as well. Definitely would recommend them to anyone and we will be back when we are ready to purchase our next vehicle!!! Seen a truck on line Friday evening. Emailed about availability and heard back pretty quick. Drove down from Missouri the next day and Lane took great care of us. Had the truck ready for us to drive when we got there and was very polite. 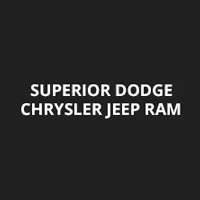 Mark was great to work with in Finance and couldn’t be more happier with the experience we had at Superior Dodge. Highly recommend working with them. Had a great experience here. Love my new vehicle. Lane was very easy to work with. He and all the staff were super helpful.